12 June is a red letter day on the UN agenda of events as the World Day Against Child Labour. It marks the 12 June arrival in 1998 of hundreds of children in Geneva, part of the Global March against Child Labour that had crossed a 100 countries to present their plight to the International Labour Organization (ILO). “We are hurting, and you can help us” was their message to the assembled International Labour Conference which meets each year in Geneva in June. One year later, in June, the ILO had drafted ILO Convention N° 182 on child labour which 165 States have now ratified — the fastest ratification rate in the ILO’s history. The Convention is supplemented by a Recommendation: the Worst Forms of Child Labour Recommendation N° 1999, which provisions should be applied in conjunction with the Convention: “Programme of Action (article 6): Among other issues, the situation of the girl child and the problem of hidden work situations in which girls are at special risk are explicitly mentioned; Hazardous work (article 3(d): In determining the types of hazardous work, consideration should be given, inter alia, to work which exposes children to physical, psychological or sexual abuse. The ILO is the only UN organization with a tripartite structure, governments, trade unions and employer associations are all full and equal members. Non-governmental organizations (NGOs) within the UN system as a whole played an important role in highlighting children working in circumstances that put their physical, mental and social development at risk, children working in situations where they are exploited, mistreated and denied the basic rights of a human being. Today, millions of children, especially those living in extreme poverty, have no choice but to accept exploitive employment to ensure their own and their family’s survival. However, the ILO is the UN agency most directly related to conditions of work. Thus the ILO has often been an avenue for ‘unheard voices’ to be heard, usually through the trade union representatives; more rarely the employer representatives have played a progressive role. Statistics are only one aspect of the story. It is important to look at what type of work is done and for whom. The image of the child helping his parents on the farm can hide wide-spread bonded labour in Asia. Children are ‘farmed out’ to others for repayment of a debt with interest. As the interest rates are too high, the debt is never paid off and ‘bonded labour’ is another term for a form of slavery. 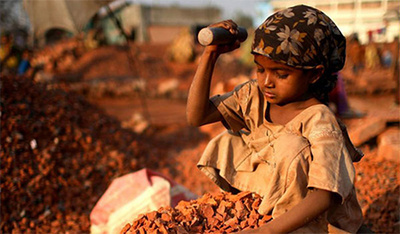 In addition to the worst forms of exploitive child labour, there is the broad issue of youth training and employment. The challenges ahead are very much a youth challenge. The world will need to create millions of new jobs over the next decade in order to provide employment for the millions of new entrants into the labour market in addition to creating jobs for the millions of currently unemployed or underemployed youth. There needs to be world-wide labour market policies that provide social protection measures, better training for an ever-changing work scene. 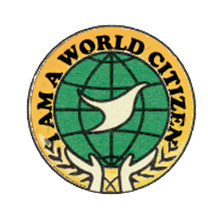 World Citizens support the demands of decent work for all. We need to cooperate to build economies and societies where young persons participate fully in the present and the future.